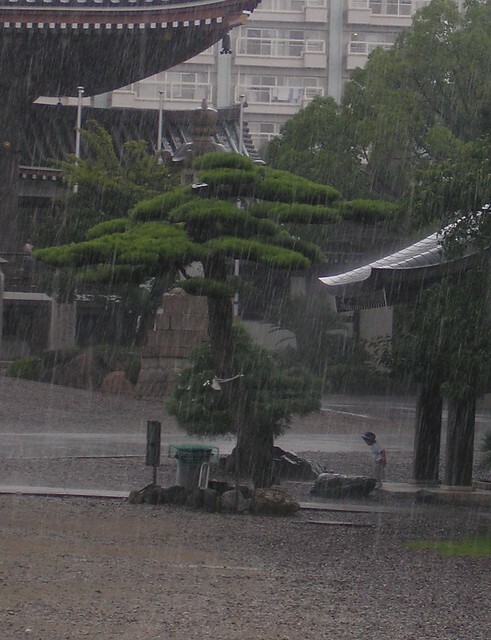 I remember sitting by the temple as the late July rain poured down, just watching this little girl in the rain. I wondered what was going through her mind – if it was just the chance to play, or if the amount of rain falling was making her wonder if the sky was falling in. Thinking of water, I also couldn’t get the image of the chozuya or temizuya (手水舎) water purification fountain at Japanese shrines out of my head. 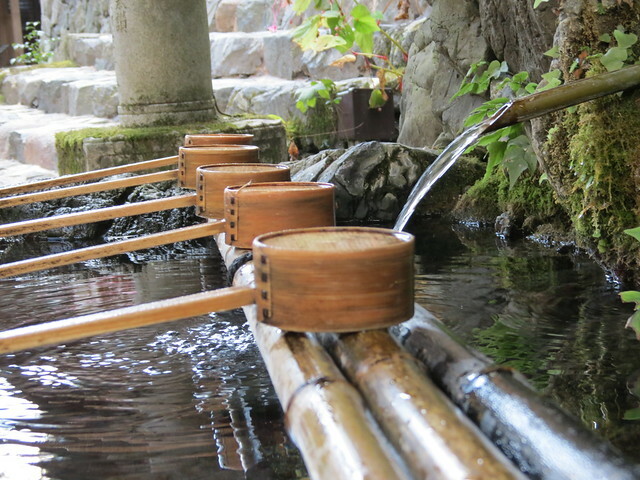 These fountains are such an iconic part of Japanese culture and something you see every time you visit a shrine. When the shrines are quiet all you can hear is the trickle of water, which is quite peaceful. I promise I’ll be back with something more substantial soon, but next week I will be taking a week off blogging as I’m away dancing for the weekend and just can’t fit it all in.